The simple answer: I couldn't. So you get this instead. If you've never seen Dr No or the scene in question, it involves the character of Honey Ryder, played by Ursula Andress, emerging from the sea in a (for the 1960s) racy white bikini. Some have traced inspiration for this scene to Botticelli's 15th century painting The Birth of Venus, but it's not clear if this was actually the case. 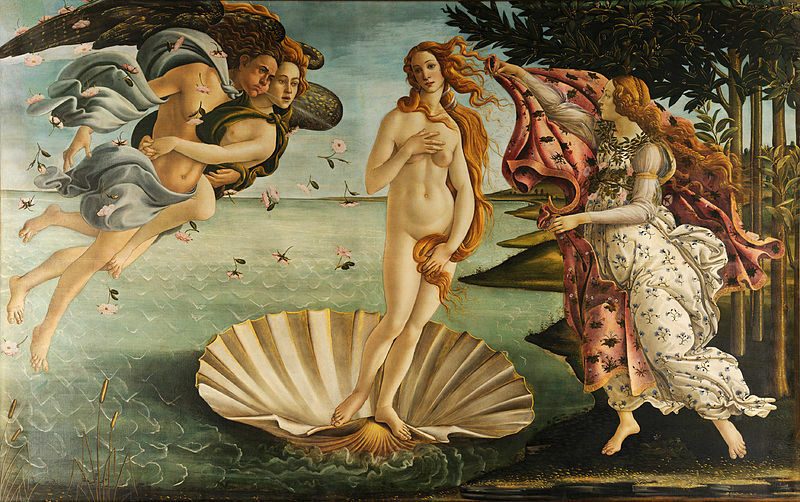 2015-05-01 Rerun commentary: Botticelli's Birth of Venus resides in the Uffizi Gallery in Florence where I have been privileged to see it in person. It is perhaps the most captivating painting I have ever seen. One astonishing thing about seeing it in person is the size - the Venus figure is almost life-size. Reproductions simply cannot do justice to works of art like this. If you ever get the chance to visit Florence, take the time to brave the crowds in the Uffizi and see it for yourself. I tried a search to find out where Ursula Andress resides, but couldn't narrow it down precisely. She is Swiss, and has also lived in the USA and Italy, but I'm not sure where her current residence is. Last Modified: Friday, 1 May 2015; 03:11:11 PST.